2018 brought some gems to the big screen, from box-office superhero smash hits like Black Panther, Avengers: Infinity War, and Aquaman, to critically-acclaimed films like A Star is Born, Annihilation and John Krasinski’s brilliant thriller A Quiet Place. 2019 brings even more buzz to the box office! Here’s the movies we’re looking forward to the most in the new year! M. Night Shyamalan had an amazing comeback with 2017's Split, complete with a twist ending that revealed the movie was actually connected to his 2000 supernatural drama, Unbreakable, picking up right where Split left off. James McAvoy shined in Split, and I'm excited to see him act alongside Samuel L. Jackson & Bruce Willis. 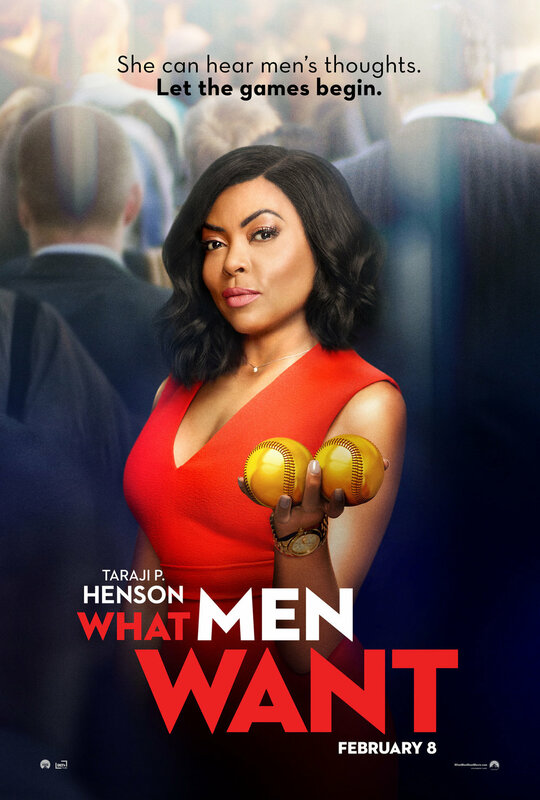 Our first film of the year with a primarily black cast is a remake of the 2000 romantic comedy, What Women Want starring Mel Gibson. Taraji P. Henson stars as a successful sports agent struggling to navigate her career in a male-dominated field until she mysteriously gains the ability to read men’s minds. The plot is a bit cheesy and has been done before, but this will be a fun watch with Taraji's energy on-screen. Jordan Peele's back at it again with an ambiguous psychological-horror film in this year's Us. This is Peele's second film after his directorial debut in 2017's Get Out, which won him his first Academy Award for Best Original Screenplay. Get Out was definitely one for the culture and Us will be too. The cast is what excites me the most. Lupita Nyong'o and Winston Duke reunite, this time outside of the Marvel Cinematic Universe, alongside my favorite Handmaid, Elisabeth Moss. Shout out to Yahya for snagging a role in this film after appearing in the billion-dollar blockbuster Aquaman. It wouldn't be a Jordan Peele movie without a trailer leaving much to the internet's imagination; there are even people linking the two movies together. Gotta love twitter, right? 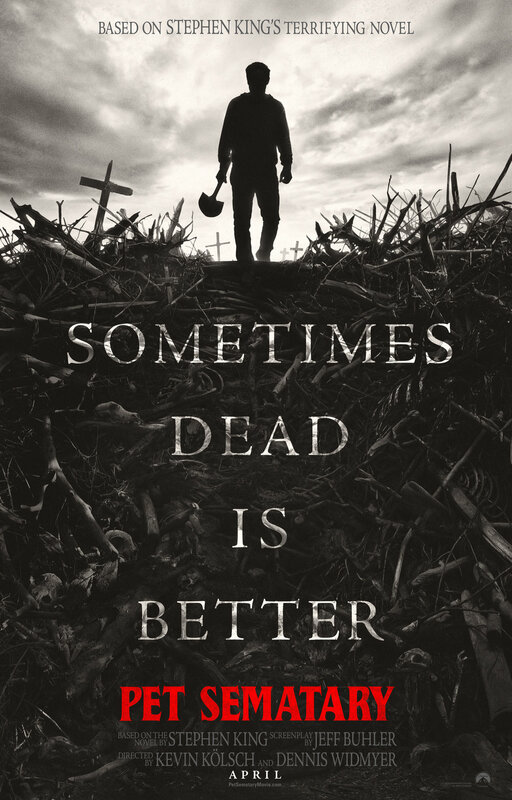 Directors Kevin Kölsch & Dennis Widmyer brings us a reboot of the 1989 film based off the Stephen King novel of the same name with this year's Pet Sematary. The movie surrounds a family who lives near a pet cemetery that lies on an ancient burial ground, bringing its inhabitants back to life in creepy ways. When a child from the family dies and is buried in this spooky ground, he comes back for blood. I'm really excited to see some quality scary movies this year, starting with this adaptation. 2018 gave us Stephen King's incredibly done Gerald's Game, which debuted on Netflix a month before 1922. Netflix is also coming with the heat with another Stephen King adaptation this year, In The Tall Grass. Need I say more? We saw Earth's mightiest heroes get wrecked by Thanos, some even wiped away from existence with the other half of the universe's population in Avengers: Infinity War. Endgame will be the last time we see some of the characters we've come to love since the MCU debuted 10 years ago. I'm sure we'll still be left empty after some of our faves get killed...for good this time. An interesting note here is the amount of money Disney is going to pull in this year. This is one of six Disney blockbusters coming out this year. I'm confident that Endgame, Aladdin, Toy Story 4, Frozen 2, & Lion King will easily make a billion each. Disney’s really collecting checks like Infinity Stones in 2019, and I'm here for it. I am extremely excited to see one of my favorite Disney animated movies come to life in this live-action remake. Following the success of live-action versions of the animated classics like Cinderella and Jungle Book, Aladdin will be one for the books and a visually stunning movie to see. I'm most excited to see what Will Smith will bring to the iconic role of the Genie. He's the perfect actor to bring a breath of fresh air to an already established role made famous by the late Robin Williams. Smith goes a little in-depth about the role in an Entertainment Weekly interview, and talks about recording the song "Friend Like Me" from the movie before he even knew he was accepting the role. Definitely expecting this to make it over the billion-dollar mark barring all positive reception. 2018 was a big year on the big screen. What movies are set to make a big impact at the box office in 2019? DC’s latest superhero entry may not be a home run, but it’s a serviceable restart, and that’s all you could hope for. If you know me, you will know I am a dedicated X-Men stan and will debate your granny about anything X-Men related. 20th Century Fox’s highly controversial re-doing of the iconic Dark Phoenix storyline follows Sophie Turner's Sansa Sta--I mean Jean Grey battling a dark force within her that she succumbs to and splits the X-Men. Simon Kinberg, longtime producer of the X-Men franchise, will be in the director's seat for the first time, looking to right the wrongs of X-Men: The Last Stand that handled the Dark Phoenix saga so poorly. The Disney-Fox merger is expected to close in March, making Dark Phoenix the first X-Men film to release after the deal is completed. Some fans are happy that Fox will be done with the franchise and some are not. I for one am ready for another X-Men movie, and my hopes are high with Dark Phoenix. Starring: Tom Hanks, Tim Allen, Joan Cusack, Blake Clark, Wallace Shawn, Keegan-Michael Key, Jordan Peele, Keanu Reeves, Estelle Harris & more! 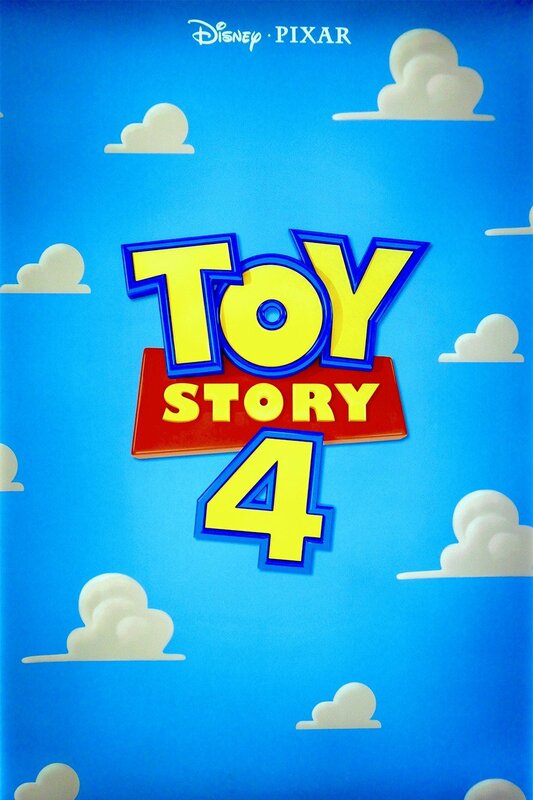 When I found out we were getting another Toy Story, I wasn't initially here for it. Toy Story 3 came out a little before I went to college and was the icing on top of my childhood. Why mess with a good thing? After a brief teaser was released, seeing my favorite toys come to life again had me sold. The movie will follow Woody & the gang on an eye-opening road trip, showing the toys just how big the world is. Add another billion in Disney's pockets with this one. The highly anticipated sequel to 2017's Spider-Man: Homecoming seemingly takes place after the events of Avengers: Endgame. Soooo spoiler, I guess Spidey makes it, huh? The movie follows Peter Parker and his high school friends on a vacation to Europe where he meets and teams up with Mysterio, played by Jake Gyllenhaal, to battle the Elementals, four immortals with control over natural forces. While I'm excited to see any role Gyllenhaal takes on, I'm a bit thrown off that his relationship starts off as an ally. My only guess as to why would be that it obviously ends up strained throughout the course of the movie, adding some depth to Mysterio's role and likely leading to his induction to the Sinister Six that the MCU seems to be delicately building. That would explain why Michael Keaton's Vulture is set to appear in the movie as well. Much like Aladdin, Lion King is a live-action remake of the 1994 classic animated movie following the rise of young Simba to become the king of the jungle. This cast is unreal. I've already pre-pre-pre downloaded the highly-anticipated Donald Glover/Beyoncé duet of Can You Feel The Love Tonight. One thing's for sure, this is a Grammy and Academy Award-winning knock out that I can't wait to see. Add yet another billion to Disney's account with this one for sure. OK… maybe we do have some quality horror movies this year. It: Chapter Two will be a follow-up to 2017's reboot of the same name. This time we follow the adult version of The Losers Club, 27 years later when they return to their hometown to fight off Pennywise the Clown once and for all. We have an amazing older cast here to fill the big shoes of 2017's child-led cast. Additionally, the younger cast from 2017's It will return to reprise their roles as well. The Crown Prince of Crime is set to get his stand-alone origin film this year. I wasn’t sold on Joker until the first images of Joaquin Phoenix on-set came out. It's a very traditional/cynical take on The Joker from the looks of the photos. I'm not a fan of comparing actors who play the same characters, but Phoenix's rendition looks closer to Heath Ledger's take on the character. Random fact, but Joaquin Phoenix was almost Doctor Strange in the MCU. Shazam is here solely due to Aquaman's breakout success. There's also a Charlie's Angels reboot starring Kristen Stewart, Naomi Scott, Elizabeth Banks, Patrick Stewart and Djimon Hounsou which has peaked my interest. Captain Marvel has generated quite the buzz as she's looked at as the end-all be-all against Thanos. Of course, the big release to end the year will be Star Wars Episode IX. Comment or tweet me what movies you're excited for this year and check out more of my work here!